"The sales" room caught my attention as the description said it dealt with corporate IT sales. I bought this on flipkart and finished reading in 2 nights. Below is a brief review of the book. The sales room is narrated from the perspective of Rajesh, a salesman in an IT Product firm, Oregon software, entrusted with the task of selling its project management software to gullible clients. Book gives good insights of software sales process, dirty tricks adopted to close a deal, how flaws are covered and so on. Also in this book Rajesh needs to deal with a totally incompetent management and investors, who do not have proper business plan and always focus in wrong things. The book is informative and entertaining. But there’re a few things I didn’t like. Excessive adult contents and narrations: Unlike movies, books do not have any censor board to read and give them rating. The Sales Room has lots of adult text forced into the plot, way more than necessary. It is common for today’s authors to include a bit of adult narration in any novel- either to make it feel natural or to satisfy a section of readers, just the way some producers force fit an item number in a movie. But in this book, every third para has some unnecessary reference to adult stuff and not a single chapter goes without reference to these stuff. Either author is not capable of writing a decent fiction or he & publisher thought it is critical to add such stuff to sell the book. Had the adult content been minimum, it would have been easy to recommend the book to others- B school students, colleagues etc. But recommending this book in its current style might harm your reputation. The Sales Room depicts the CEO and investor in very bad light – that they are incompetent, can’t see what’s coming and all. Somehow I feel their characters have been unduly tarnished. It is possible that one among the top management is unreasonable & blind but not everyone including CEO, investors and other stakeholders. So the story sort of depicts worst case scenario. There is a mention of sales & marketing, pre-sales, developers & testers. No mention of a team that manages the product- folks who decide on what all features should go in next release etc. Testers will be testing the product against certain requirements, which are often documented by a team which knows the industry, customers and the product vision. From the story it appears that there’s no specific team of Subject matter experts, but it is not clear against what the testers will test to verify the product is working fine. In one of the pages book mentions draft beer. But I think author meant draught beer (if my knowledge of alcoholic beverage is correct). Another point author could have mentioned: A software product, once built can be sold multiple times with no extra cost, thus can make more money in long run if built right and sold (licensed) to multiple customers, whereas services always need to be repeated again and again. Hi, Thanks for the reivew. 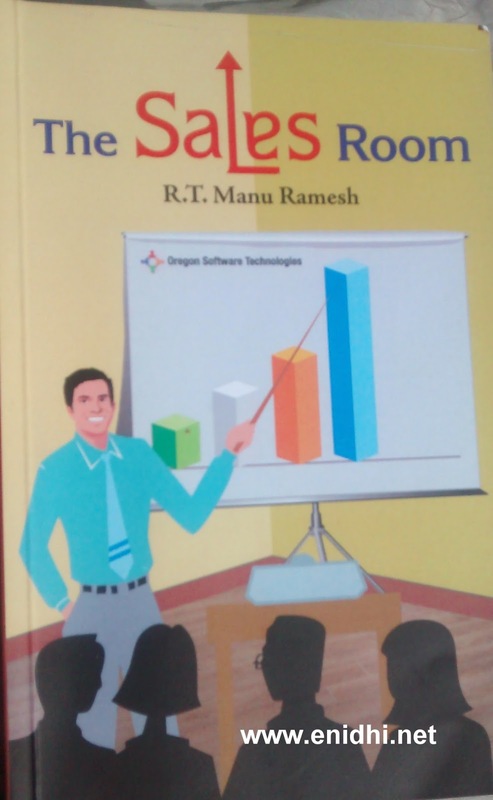 I am manu, the author of 'The Sales Room'. Always like to know what readers think of my baby :). Special thanks that you took the trouble to write a review after reading.